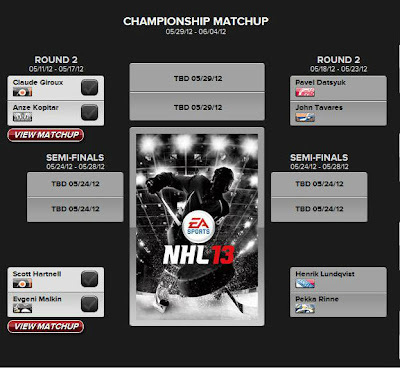 The first round of the NHL 13 Cover Vote Campaign has come to an end and eight players have made it to the second round. From the Los Angeles Kings, Anze Kopitar will face Claude Giroux of the Philadelphia Flyers, while Scott Hartnell is put up against Evgeni Malkin of the Pittsburgh Penguins in the first bracket. In the second bracket, the Detroit Red Wings' Pavel Datsyuk faces John Tavares of the New York Islanders and in a battle of the goalies the New York Rangers' Henrik Lundqvist faces the Nashville Predators' Pekka Rinne. Voting for bracket one runs from today through May 17 and the voting for bracket two will start may 18 and end on May 23. The final four players will be announced on May 24. 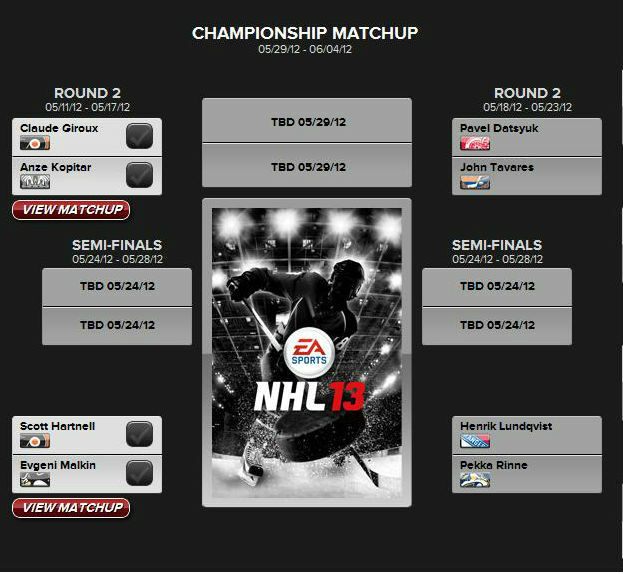 You can vote at an unlimited number of time at NHL.com/covervote, or use the hashtag #NHL13Cover and the player on Twitter as well.